Trauma, memory, and hope's restorative power weave through artist Dinh Q. Lê's timely retrospective True Journey is Return. Newly opened at the San Jose Museum of Art, the exhibition—the first comprehensive installation of Lê's work in a decade—holds focus on life before, during and after a conflict that ended more than 40 years ago, but haunts those who witnessed it for the military and moral failure that it was. Lê earned art world recognition early in the 21st century for large-scale photo-montages that mix American imperialist cinematic depictions of the Vietnam War (think Apocalypse Now) and images of the war's horrors as experienced by the Vietnamese people. True Journey is Return moves well beyond Lê's best-known work to reveal his explorations into sculpture and filmmaking, complements to his primary photographic practice. 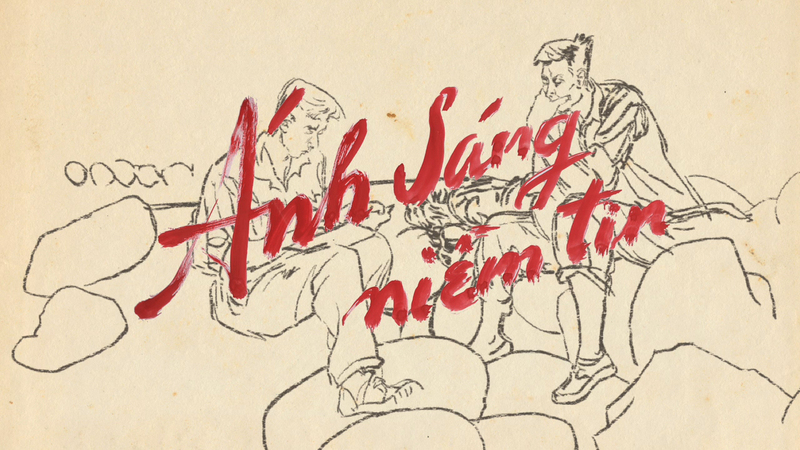 In Light and Belief: Voices and Sketches of Life from the Vietnam War, a piece from 2012, Lê focuses on the lives and work of artists who heeded the call to document the war as a lived experience. Commissioned for dOCUMENTA 13, the installation profiles the archivist-soldiers who portrayed life amidst the chaos of conflict. 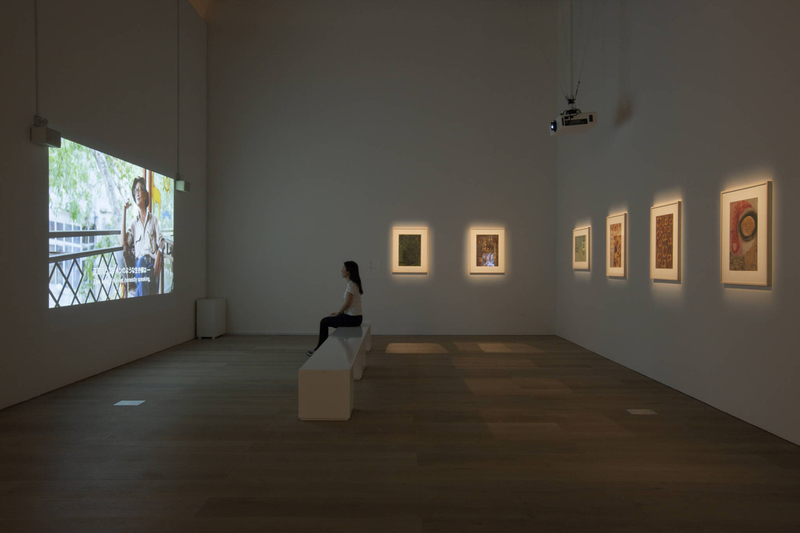 These delicate compositions, hung opposite a video for which Lê interviewed the now-aged artists, introduce personal accounts of how they experienced the war, contrasting routinized daily life with combat's unfiltered terror to a chilling end. The 2015 short film Visions in Darkness: Tran Trung Tin recounts Vietnamese artist Tran Trung Tin's gradual disillusionment with art. His response was aggravated by a prohibitive cultural context that demanded artists pursue social realism (abstraction was deemed experimental) in service of the country’s propagandistic agenda. And The Imaginary Country, Lê's first video piece, made in 2006, examines the SJMA exhibition's themes metaphorically. Interspersed with portraits and film of Vietnamese clam diggers walking into the sea to perform demanding work, the video visualizes notions of forced departure and dreams of return—dreams held by refugees who know their home country through inherited and imperfect memory. The span of time Lê covers within these three video installations speaks to the artist's deep engagement with the past as a collective experience, emphasizing the fact that thousands who fled the war share his desires and fears. 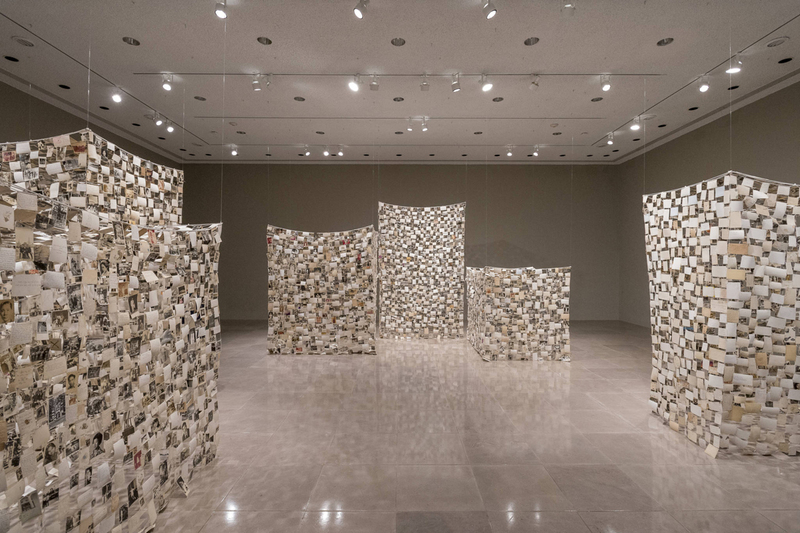 A more recent work from 2014, Crossing the Farther Shore, anchors the exhibition with gauzy photo constructions made of thousands of vernacular photographs, collected by Lê over two decades. The project, which began as an effort to reclaim his family's visual artifacts, grew into something altogether more consuming. In each structure, photographs woven together using a technique Lê learned from his grandmother present scenes of daily life. Candid snapshots of tourists in front of monuments mingle with baby and wedding and school photos, all portraying relatable everyday events and underscoring the misery through which Vietnamese people lived as the conflict ground on. One armature is constructed of woven images that face inward. The "absent" images are all the more alluring when compared to other structures in which images facing outward and inward are woven together. It's a visual experience akin to hearing a fragmented conversation; it leaves one wanting more, and the want is never satisfied. The loose woven structures of Crossing the Farther Shore appear fragile, yet resist gravity's pull. 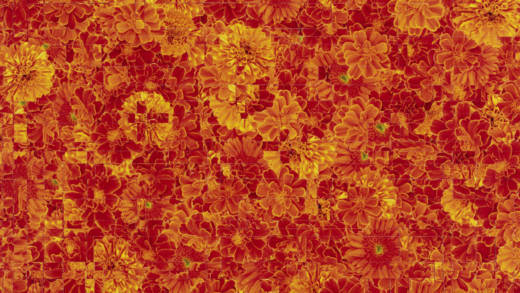 They contrast starkly with the tightly woven objects in Lê's Tapestry series, made of cut up and reassembled photographs of flowers associated with death and renewal. True Journey is Return is framed by extremes: expulsion before the ravages of conflict, and the combined allure and peril of returning to a homeland forever altered. Lê's experience—as a war refugee who grew up in the United States and later returned to his homeland—is repeated thousands of times over for those in the Vietnamese diaspora. Glimpses appear throughout his work of internal and shared dialogues grown from longing for home and familiarity. What home and familiarity are may only reside in memory, comforting yet imperfect. 'Dinh Q. Lê: True Journey is Return' is on view at the San Jose Museum of Art through April 7, 2019. Details here.